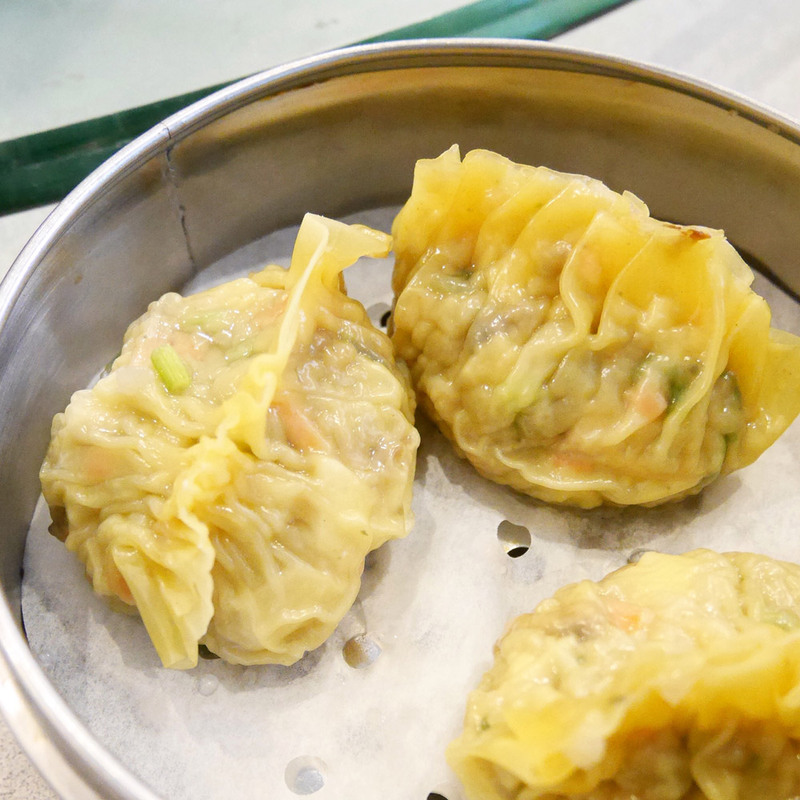 If you grew up in Asia, you know that dim sum is serious business. Dim sum is basically the Chinese version of brunch, and for many families, a sacred weekend ritual. 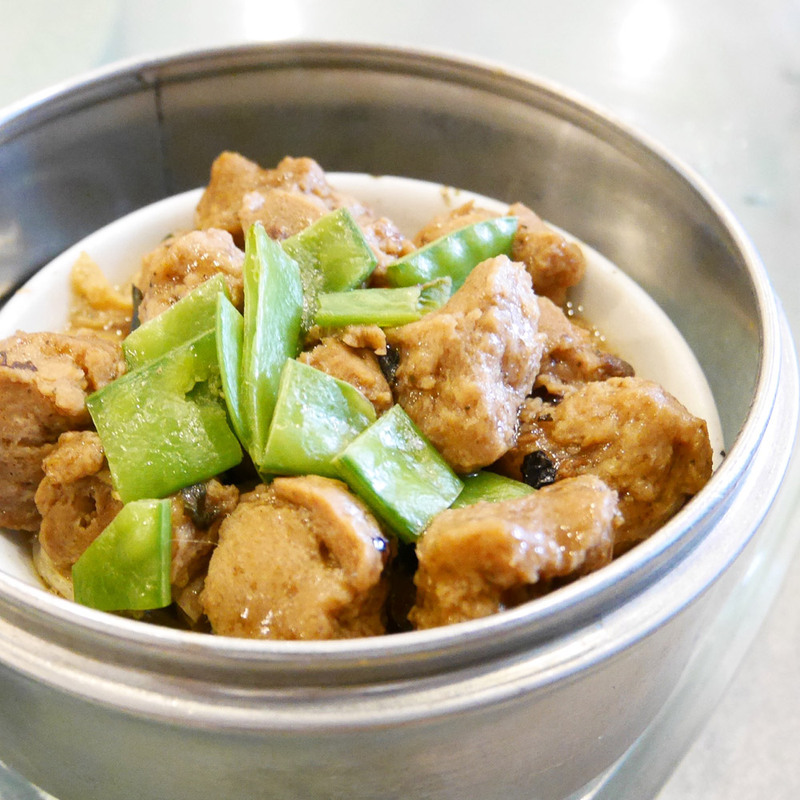 Traditional dim sum is far from vegan-friendly (eek, chicken feet! 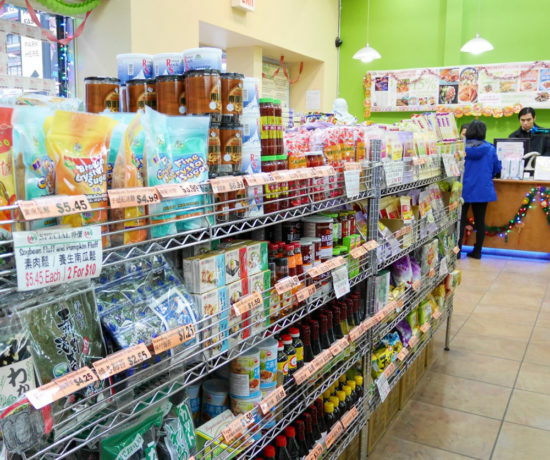 ), but thanks to places like Buddha Bodai, you can get your vegan, kosher dim sum on. 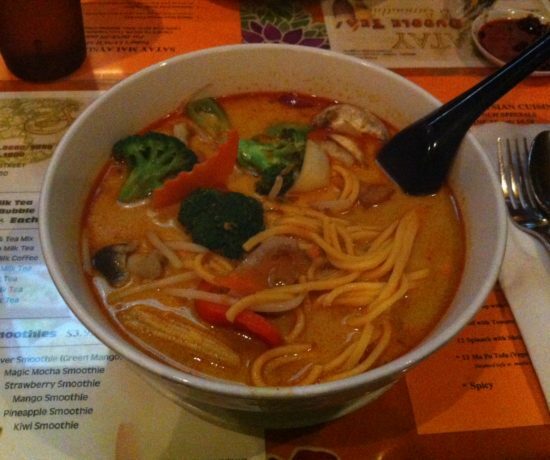 This review is about the Buddha Bodai at 5 Mott St. There is another unaffiliated Buddha Bodai at 77 Mulberry St, but in my opinion, the food at the Mott St location is better. (To avoid confusion, someone needs to change their name!) Everything we ordered was $3 to $5 each. Six dishes plus dessert was plenty for two very hungry people. 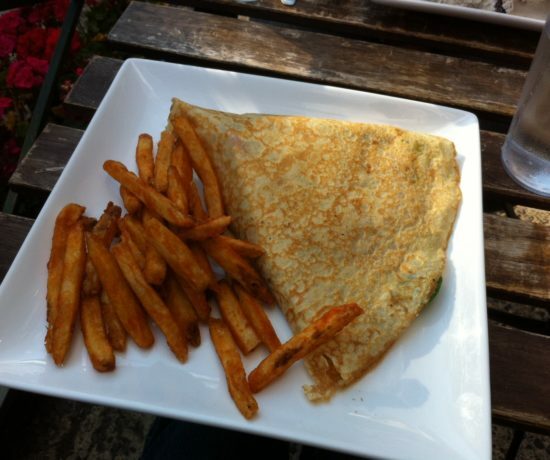 Some of their dishes contain egg, so look out for that on the menu if you want vegan only dishes. 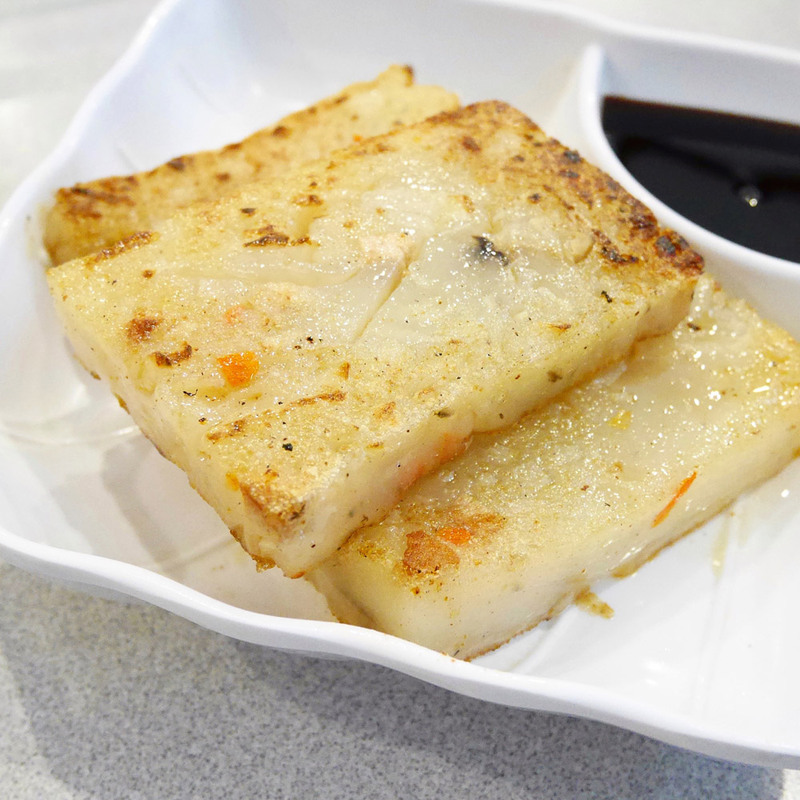 As a kid, my go to dim sum dish was turnip cake. I guess I never grew up because this was still the first thing I ordered. I was never a fan of the fatty Chinese sausage in turnip cake, so this vegan version is basically my childhood dream come true. Real tasty with the dipping sauce, but a little more pan frying for a crisper exterior would be nice. The mock meat ribs in black bean sauce was one of John’s picks. The ribs were juicy and tender with the right amount of chewiness. You can’t go wrong with these. Steamed BBQ pork buns are another must order item when you’re doing dim sum, but I always found the pork to be too fatty. Are you picking up on a pattern here? 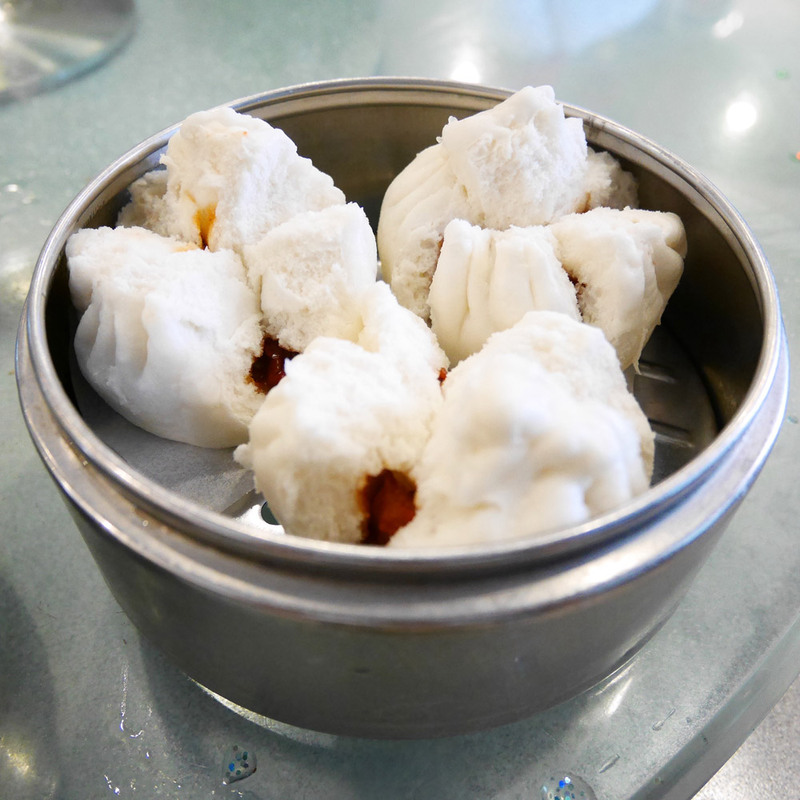 Buddha Bodai’s veganized pork buns are light, fluffy, and filled with mock pork. There’s plenty of BBQ sauce in there too. Buddha Bodai’s shark fin dumplings are filled with vegan imitation shark fin (bean noodles, I think) and veggies, nicely packaged up in a thin, yellow wrapper. Each dumpling is pretty big. Juicy, not mushy, but they’re a little bland so you dip ‘me in some soy sauce. 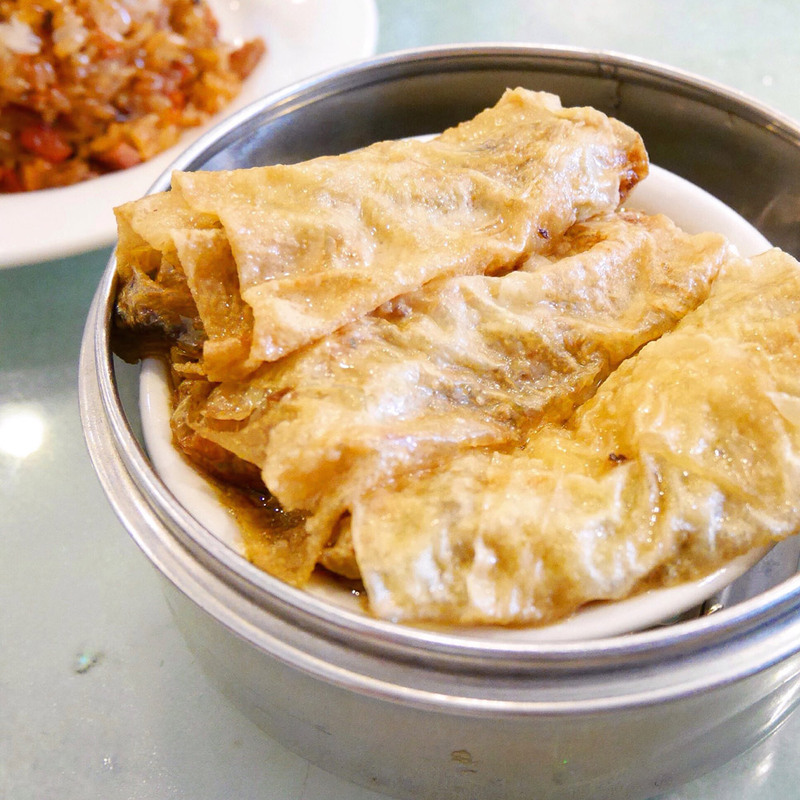 Typically, bean curd rolls are filled with chicken or pork in addition to veggies. Here, the steamed rolls are filled with an assortment of vegetables, think veggie dumpling filling. 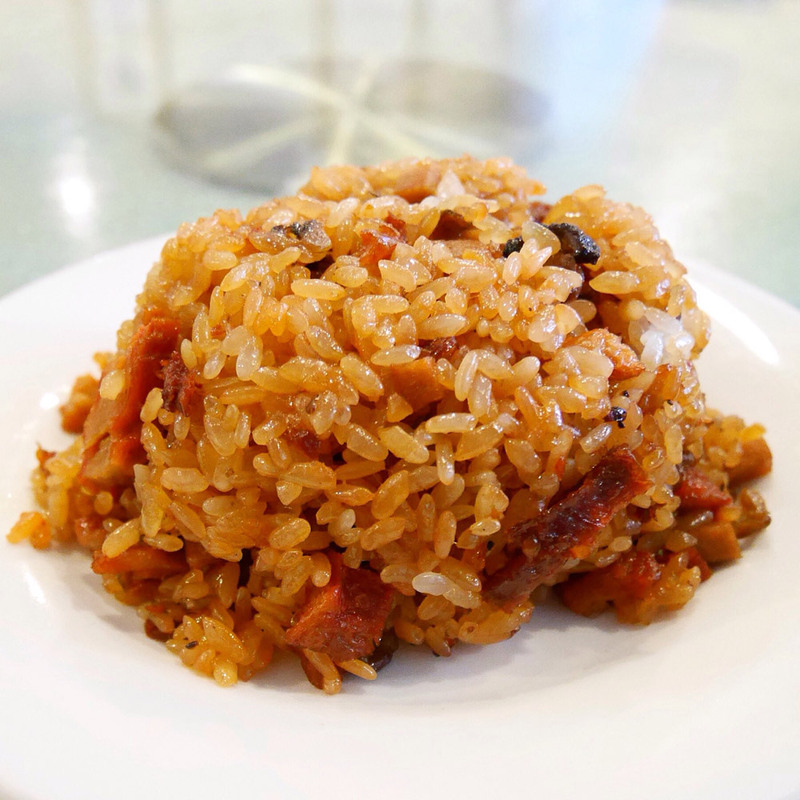 Overall, it feels pretty meaty, but the filling was somewhat mushy. Good texture from the yuba sheets though. I always get sticky rice when I have dim sum, and I like there’s a fried option here instead of the usual bamboo leaf wrapped version. Looks like a pudding of some sort. Tasty, not too sticky, and I enjoyed the mock meat in there. 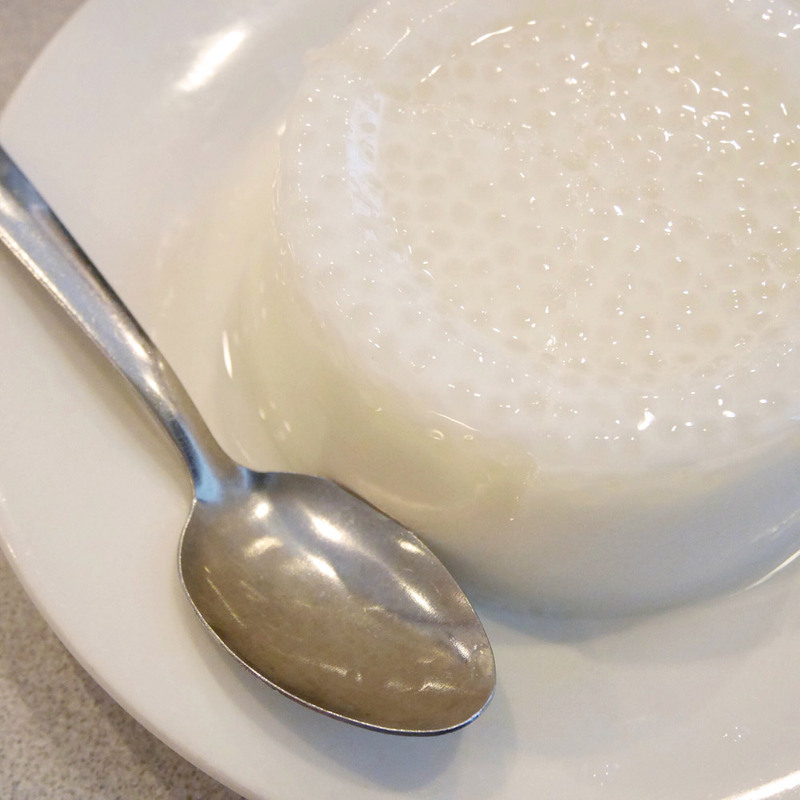 Coconut pudding is always a good finale to dim sum and good for sharing. Light and refreshing with some sago pearls in there for texture. Hope you find a good spot in Dubai! Meanwhile, I’m on a quest to find good vegan dim sum in Portland. Hopefully it’ll be as good as Buddha Bodai. Dim sum in Hong Kong is the real deal! There’s nothing like it. Hahah, I’m sure it’s really delicious… homemade is always a good way to go. :) That’s something I gotta learn how to make! that coconut pudding looks divine… vegan options there are SO legit like i can’t even believe it! Hahah, dim sum addiction! 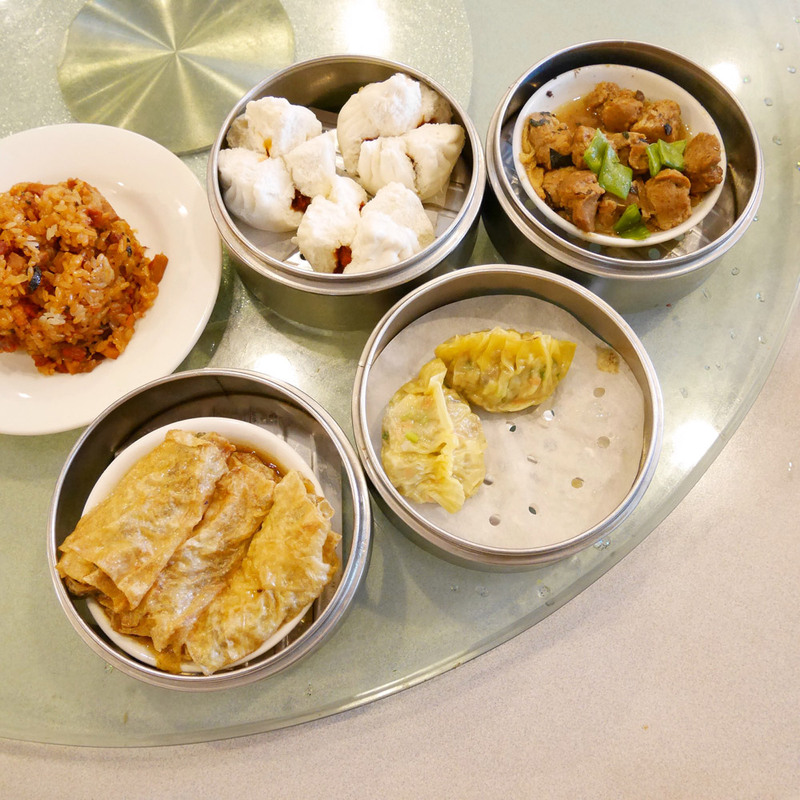 Dim sum is always on my to eat list whenever I visit family in Singapore. Oh yummy! Haha, hipster dim sum! You would think that Spain would jump on board the dim sum train since it’s basically Chinese brunch tapas. Hope it happens soon!